Wookiee wuvers are sure to want this white Star Wars Chewbacca 12 oz. Ceramic Mug in their hot little hands. 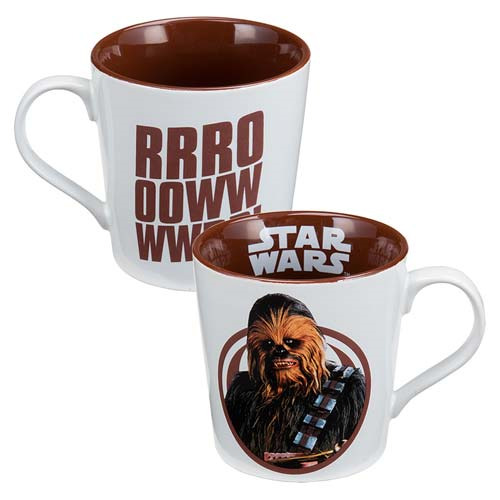 The bold and bright design on one side shows loyal and lovable Chewbacca, while the other side quotes his famous words, "Rrrooowwwwrr!" There are even graphics on the inside! Made of high-quality stoneware, the 3 3/4-inch tall mug features an exclusive shape and comes in a full-color gift box. It's dishwasher and microwave safe.